Are you eager to move abroad and settle there in? If yes, have you already zeroed in on the country of your choice? And, if you have done this also, have you checked the nation’s immigration rules and regulations? If not, then you need to do so, as it is always better to know what you are dealing with, and how bright will be your chances of settling in your dream destination. In this piece, we will talk about the top 5 destinations renowned the world over for their easy-to-follow immigration and settlement policies. We will also share information about the nations’ key USPs. Regarded as one of the best in the list of expat-friendly nations of the world, Canada is also rated as one of the finest hotspots for living purposes. Apart from its amazing and picture-perfect landscapes and magnificent climate, the Maple Leaf Country also has some of the finest education centers and top centres of learning in the world. Canada also has the lowest population density in the world with polite inhabitants. It is also famed for its cultural diversity. The nation has a rather strong reputation for its welcoming nature towards immigrants. Here, you will not find any anti-immigration political outfits. While it underlines the progressive outlook of Canada, it also sets the country apart from other places. No wonder, a large fraction of the globe’s population recognizes the Maple Leaf Country as a place where freedoms and individual rights are respected and not trampled upon, which gives a red-carpet welcome to immigrants, which accepts differing races & cultures, and that provides a very high quality of living. 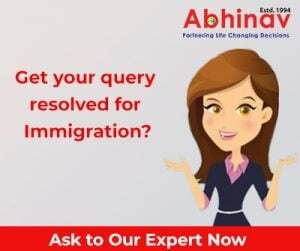 Much like Canada, Australia is also renowned the world over for its hassle-free immigration policies and for proffering great settlement options to those who want to settle in the nation. The Kangaroo Land has an exceedingly easy immigration system, and thanks to it, it is frequently called the immigration nation. Yes, Australia is not only the ‘land of koalas and kangaroos’ but also an ideal and easy place to live in overseas! A huge figure of the local people in the nation consists of those who are the offspring of those who were once outsiders. The nation’s Permanent Residency (PR) rules are not stringent or difficult to follow even as this is an additional advantage. And if we talk about nature’s bounty, well, Down Under has plenty of treasured natural resources that has been and will forever be a great source of strength for its economy. The nation’s physical size, surrounded by the massive ocean on all sides, and its unique geographical latitudes bequeath it with glittering beaches, climates that fluctuate from the snowfalls in the mountains to the tropical monsoonal north to massive farmlands and vineyards, and natural wonders, like the Great Barrier Reef. All this makes Australia a great place to move to and settle in, right? Singapore is also right at the top in the list of most loved nations for the expats from across the globe, thanks to its flexible immigration process, lifestyle habits, and political solidity. The nation ‘with the lowest unemployment rate in the world’ Singapore has very liberal citizenship and immigration rules. The only island city-state of the world, Singapore is also the ideal place for you in case you happen to be a first-time immigrant. The government and the local people are, by and large, friendly and welcoming by nature. You will have no difficulties whatsoever settling here in. Adding to the appeal of the place is the different good options that it offers to the addicts of shopping. Yes, you will not find a better place than Singapore for shopping! No wonder, the City-state is considered one of the finest overseas destination in the world for moving to and settling in. One of the most stable nations in the world, Brazil also boasts of a very good rate of employment rate even as it economy is pretty strong and that’s highly praiseworthy. These special qualities, taken together with the nation’s immigration processes, make the nation a favorite place, rightfully so, for immigrants. Brazil rolls-out a red carpet welcome to the migrants from different cultures across the globe. The nation has a 90% literacy rate and draws an impressive figure of students from abroad per annum. As per a report, Brazil is the 6th most popular nation for overseas students in the world. The nation’s admirable economic stability is yet another USP of the place. So, it is little wonder that Brazil is favored by immigrants from throughout the world and it is considered one of the 5 best nations that allow hassle-free immigration and settlement options. The UAE is yet another wonderful place and one of the best destinations in the world for moving to and settling in. Here, in this part of the world, you will not be charged any personal tax. The nation’s economy is exceedingly strong, courtesy of its very rich oil reserves. Adding to the appeal of the place further is the fact that the rate of corruption rate here is nearly zero. And, the private schools, universities and first-rate healthcare services improve the standard of living of the nation. Besides, the immigration laws of the country are also pretty flexible, and so no wonder, the UAE is considered a very popular and right place for immigrants. So, these are the topmost 5 global destinations perfect for moving to and settling in with ease and comfort overseas. Make a mature decision and pick the one which ticks all the boxes, according to you!